One of the biggest issues in most women after going through the menopausal stage of life is that of proper calcium intake and bone health. If you've been looking for a supplement that offers a healthy amount of calcium, but also delivers the other essential nutrients you need to maintain optimal health, Optimox offers the perfect option. 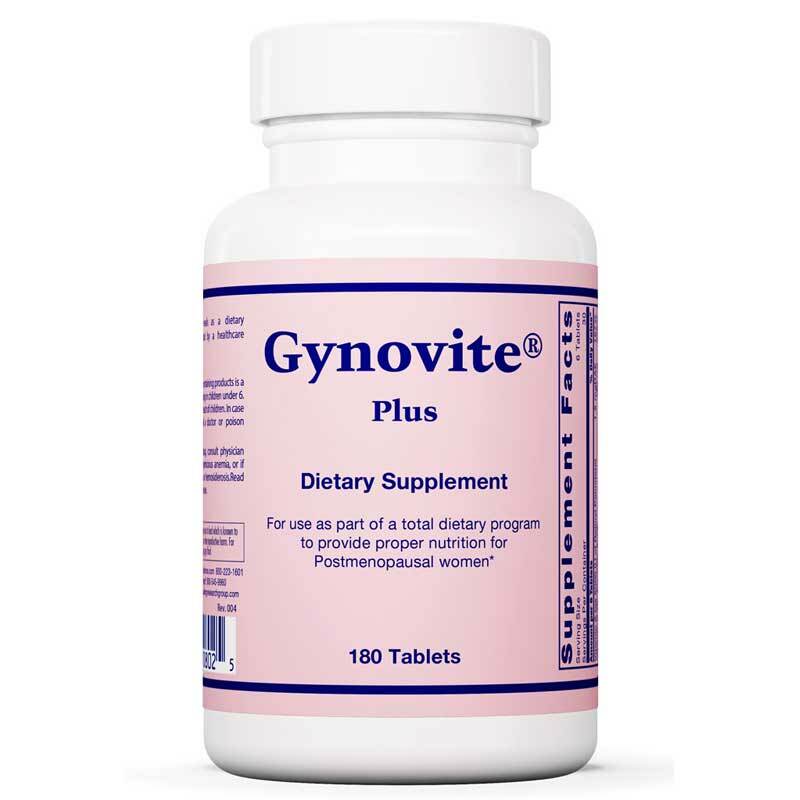 Gynovite Plus is a comprehensive multivitamin and mineral supplement for post-menopausal women. 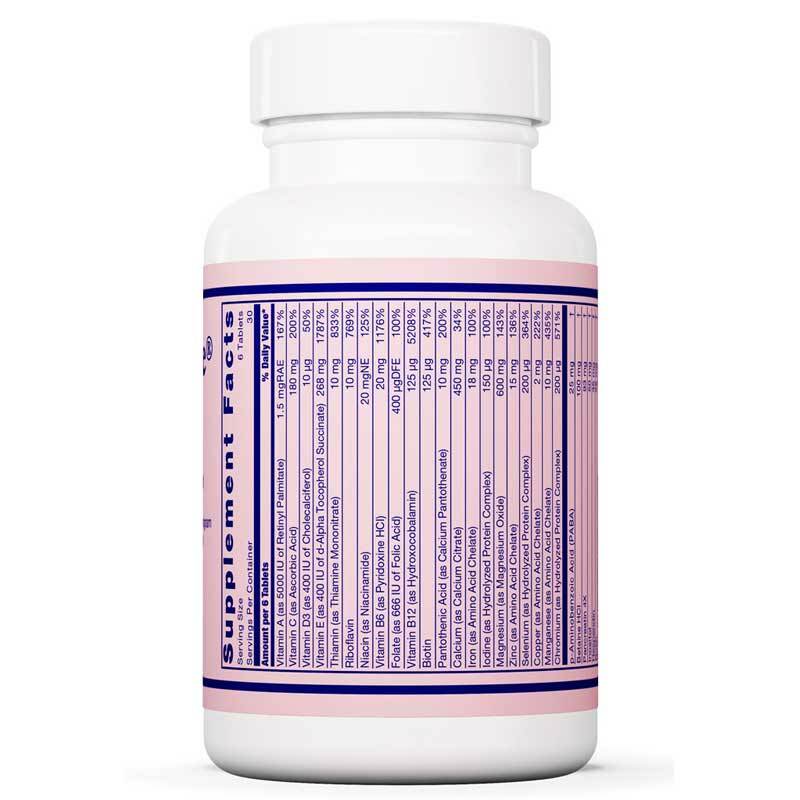 It emphasizes magnesium over calcium and supports optimal bone health, as well as overall health. Your bone health is always important, but is especially important after menopause and as you're getting older. Don't let low calcium and magnesium levels keep you from living your life to the fullest. Choose Gynovite Plus from Nutri-Dyn today, and see how it can help you maintain optimal overall health and a better quality of life. Order yours now! Other Ingredients: Microsolle, a silica-based excipient containing a non-ionic surfactant, cellulose and modified cellulose, silica, stearic acid, pharmaceutical glaze, vegetable stearins, natural flavor and cranberry powder as a natural source of color. 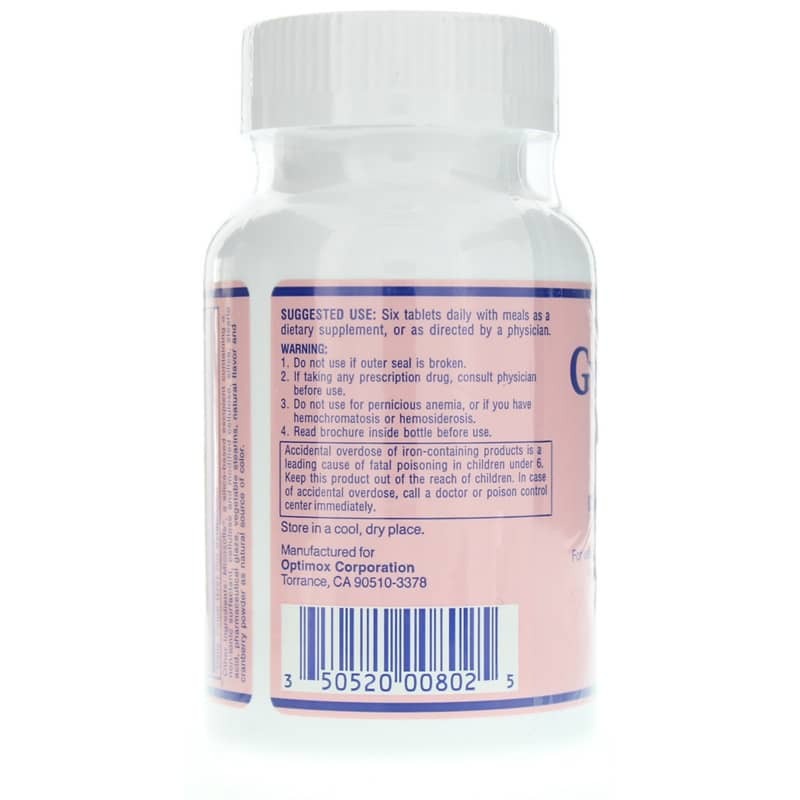 Adults: Six tablets daily with meals as a dietary supplement, or as directed by a physician. If taking any prescription drug, consult physician before use. Do not use for pernicious anemia, or if you have hemochromatosis or hemosiderosis. Read brochure inside bottle before use. Accidental over dose of iron-containing products is a leading cause of fatal poisoning in children under 6. Keep this product out of the reach of children. In case of accidental overdose, call a doctor or poison control center immediately. i've been using Gynovite for years, and I love it. It's an excellent women's vitamin pill, and it's easy to swallow. Your company is great to deal with, the price was very good, and it was packed extremely well, and I'll be ordering more as soon as I need more. I've been using Gynovite for years. Recently I started buying them from your site, which is great, free shipping, and it's cheaper , I buy 2 at once which is great, and they arrrive very fast. Easy to swallow. Can even be taken without food. I have been using Gynovite Plus for over 10 years and have been extremely satisfied with their results. 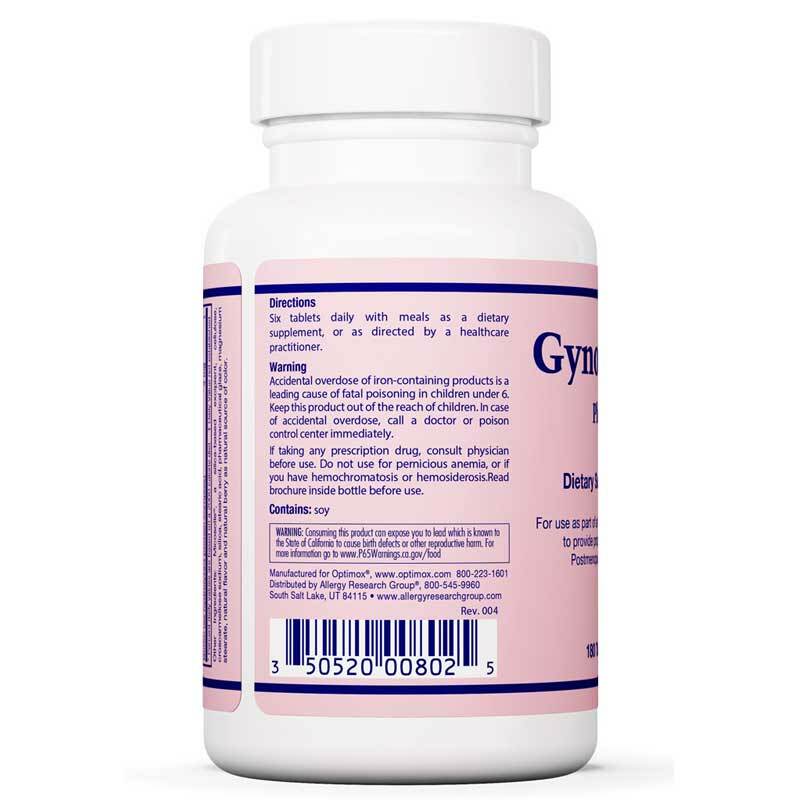 Great vitamin for post menopausal women. It has been best for me in giving that extra boost of energy.